Price Drop! Was: $129.99 Now: $49.99 . For a limited time only, while stocks last. 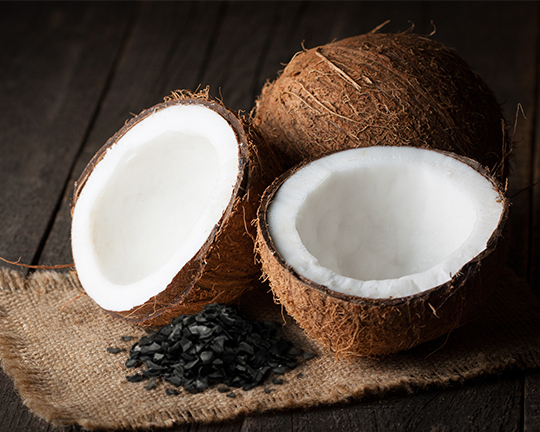 Are you still afraid whether the water from your refrigerator is pure or not? Our Samsung Refrigerator Water Filter DA29-00020B DA29-00020A HAF-CIN-EXP Refrigerator Water Filter, 3-Pack can let you get rid of such worries and enjoy chilled, tasty, and healthy water every day! Through the state-of-the-art technology, this Samsung DA29-00020B water filter can effectively remove the heavy metals in the water, including lead, mercury, cadmium, and thallium, which can pose serious health problems when people are exposed to them for a long or short term. In addition, this Samsung DA29-00020B filter fits Samsung DA29-00020A HAF-CIN-EXP, 46-9101 and more, which can eliminate the odor, chlorine taste while filtering away the excessive chlorine but keeping the beneficial minerals. 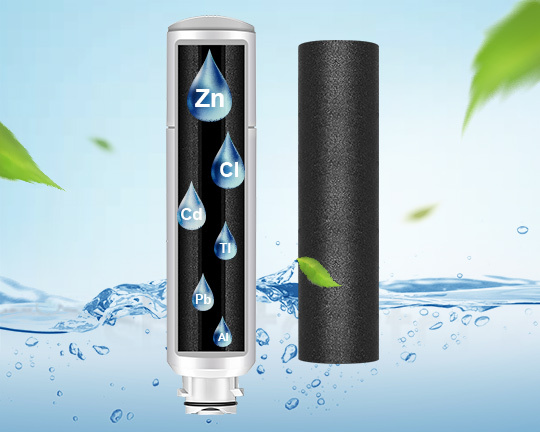 Moreover, the water filter can greatly reduce the amount of the dirt, rust and other sediments in the water, which can make your water sparkling clean and safe to drink. 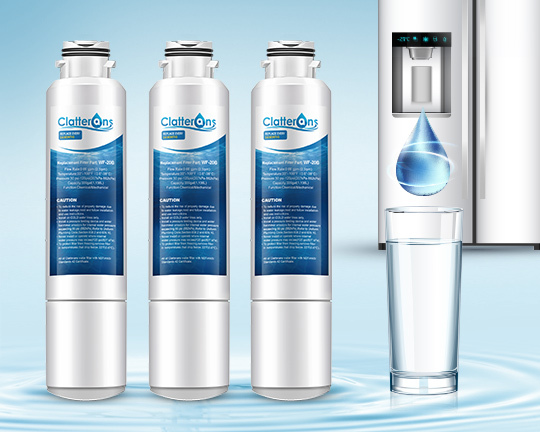 With a long lifespan of up to six months, our Samsung DA29-00020B/DA29-00020A fridge filter NSF & IAPMO certified meets the NSF/ANSI standards 42. 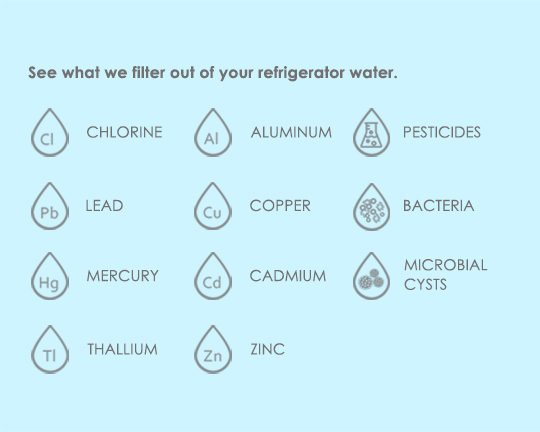 How important the water filter system for us is! Bring one home and no longer worry about whether your water is contaminated or not! 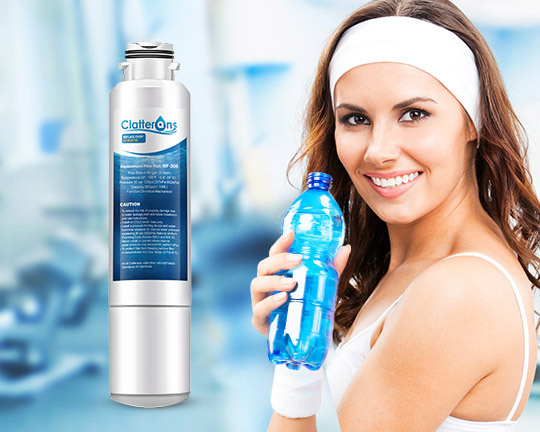 CLATTERANS WATER FILTERS: Use state-of-the-art technology to help remove Chlorine, Lead, Mercury, Cadmium, and Thallium. 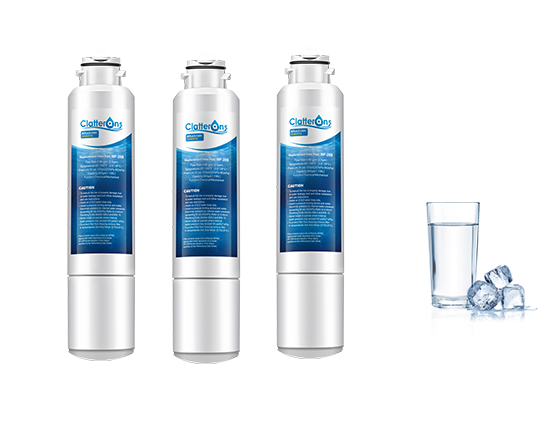 SIX MONTHS WATER FILTER SERVICE LIFE: The real filter lifespan depends on water quality and level of contaminants, but for best filtration results, please replace the filter every 6 months or every 300 gallons to maximize contaminant reduction. EASY AND FAST FILTER REPLACEMENT: No tools of water turn off needed to replace cartridge inside the refrigerator, and it only takes a few minutes even less than one minute to finish the installation. 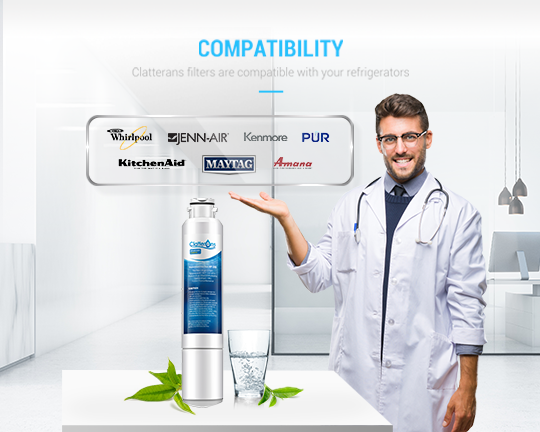 For your peace of mind, our Samsung Refrigerator Water Filter DA29-00020B DA29-00020A HAF-CIN-EXP Refrigerator Water Filters with up to 6-month longer life are quality approved by IAPMO and NSF to serve you cleaner, fresher, better-tasting and wholesome water. The filter installed very well and works great. These were a great deal. Having a 3 pack means I won't unexpectedly run out. They fit in and work exactly the same as the name brand, only cheaper. First time trying a filter not made by Samsung and I'm very satisfied. There was no difference in installation and in fact my water is dispensed much faster than it ever has been. Before, the water was always slow to dispense and took a frustratingly long time to fill a glass. Now dispense speed has increased 2 or 3 fold and the difference must be this filter. I'll buy again! Great product at a good price; just installed today and it made a world of difference with MUCH better pressure, thanks. I was hesitant to purchase an off brand, but I'm so glad I did. When I first put it in, it sputtered and water seemed to leak from the dispenser, but once I ran several glasses of water through it, the line clears up and it works great. I would definitely buy this again. Good job! Good product, great customer service! Fits same as my old Samsung filter. Works as it should, couldn't tell you how long it will last, but for half the price, it's worth trying! Shipping was faster than it was saying so that's another plus! Fits perfectly and provides the same filtering that a Samsung product does at a significant cost savings. Will buy again.